Nearly 300 people face criminal charges for aiding refugees in Denmark in September 2015, and the government continues to create a hostile environment by cracking down on migration. 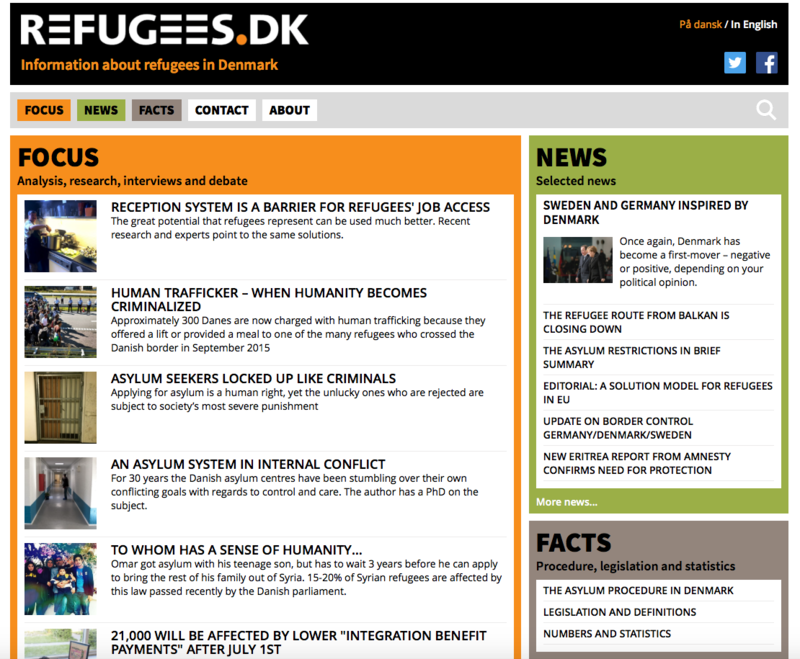 The rise in humanitarian and political initiatives in solidarity with asylum seekers and refugees that we have seen across Europe in the past year has been reflected in Denmark, in contrast with the government’s defensive response (Denmark, along with the governments of Belgium, Austria, Sweden, France and Germany, has demanded an extension of temporary controls at the internal borders of the Schengen area). In September last year, as images of thousands of refugees walking along the Rødby highway towards Sweden were splashed across national newspapers and television channels, some citizens, influenced by the political response, saw the images as indicative of a threat to Denmark, but many others, such as the ex-head of Denmark’s National Council for Children Lisbeth Zornig, went to aid the refugees. It is those who have now been charged with ‘human trafficking’ amongst other things, for assisting refugees with travel, crossing the border, or simply for providing them with food or clothing. The charges are under section 59(8) of the Danish Alien Act, which criminalises ‘assist[ing] an alien with travelling into or through the country or … with an unlawful stay in the country’. Denmark is often viewed as a model social democracy, but its treatment of refugees and asylum seekers has exposed the limits of these claims. In the country’s July 2015 national elections, the nativist Danish People’s Party (DPP) won over 21 per cent of the vote, making them the second largest party after the Social Democrats, momentarily looking as though they might form a right-wing coalition government. As it currently stands, Venstre (Denmark’s Liberal Party) leads a minority government, influenced by the DPP on a vote-by-vote basis. In October 2015, the new conservative-liberal government, with support from the Social Democrats, Liberal Alliance, Conservatives and the DPP, passed legislation severely restricting migrants’ access to public funds (with cuts to ‘integration benefit payments’) and services, as well as demanding a whole host of new requirements for citizenship, with retrospective effect, including higher language and income thresholds and the cancellation of the Social Democrats’ 2014 reform which gave easier access to citizenship for children born and raised in Denmark (children over the age of 12 now have to meet the same criteria as adults). Refugees.dk, an information site analysing the situation for refugees, writes that ‘The new requirements, especially the demand for passing PD3 [Danish language assessment], will exclude a large part of the people living in Denmark from ever acquiring a Danish passport … The high requirements for self support is also a hindrance to many, especially for women … and for refugees … [who] have more difficulties entering the labour market than other groups.’ But for the non-citizens among the new humanitarian ‘smugglers’, it is the provisions making citizenship more difficult for those with a criminal conviction that are the most worrying. Among the new measures is the now infamous law allowing authorities to seize asylum seekers’ cash and valuables over the 10,000 kroner (£1,000) threshold, to pay for their support. While evidence suggests that the ‘jewellery law’ is more symbolic than practical, this measure, together with tougher family reunification provisions, has created a climate of fear amongst those seeking asylum. Refugee.dk’s Michala Clante Bendixen told the IRR that there is a ‘bad rumour, as everybody thinks the three-year waiting period on family reunification is for all refugees (it is actually only for 20 per cent) and that refugees are not welcome here.’ She sees them as part of a government ‘movement towards criminalising refugees as “illegal migrants”, for instance using detention as a rule and not as an exception’. 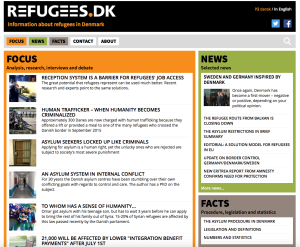 These measures have led to what the researcher Martin Lemberg-Pedersen calls ‘the devaluation of human life’, with people facing intensified borders upon entering Denmark to claim asylum. If they are successful in their claims, recent laws serve to make life in Denmark for refugees difficult, with hurdles to accessing both welfare services and citizenship. Despite government attempts to make things worse for refugees in the past year, Bendixen maintains that Denmark remains one of the most welcoming countries in Europe for asylum seekers. The government’s creation of an increasingly hostile environment for refugees and non-Danish citizens has been the catalyst for a group of people now willing to act in solidarity with refugees, regardless of the legal consequences they face.